Metabolic Balance® was created 11 years ago in Germany by Dr. Wolf Funfack, M.D who is a physician that specializes in nutritional medicine. Funfack states that Metabolic Balance® is different than other diet plans because it involves a holistic approach that will balance your metabolism so that you can achieve and maintain your ideal body weight. 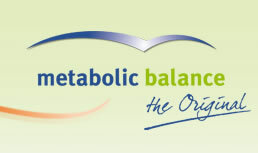 Metabolic balance is designed to not be a weight loss program but a life style change. The program is based on creating stable insulin levels through a healthy diet so that you will feel satisfied after meals and balance your body’s metabolism. Every body has the capacity to produce all the hormones and enzymes necessary for a healthy metabolism. However to support this process we need to supply the body with adequate nutrients, which are obtained from food. Our body has the ability to develop an appetite for foods containing the nutrients it needs. However, instead of listening to internal messages most people select foods based on external stimuli. Funfack says that we need to stop paying attention to advertising, which manipulates us to believe we are eating something healthy and to start listening to our bodies. He claims that it doesn’t matter how much we eat but rather what we eat and dieters are encouraged to select wholesome and unprocessed foods. The foundation of the plan is a personalized nutrition program that is based on your body’s metabolism. This is created for you after a thorough blood analysis, personal information, personal goals, and medical history. You then meet with a certified Metabolic Balance® coach so as to clear up questions and help you with the practical matters of implementing the program. Phase 1 Two day preparation to cleanse your body of waste by purging. Phase 2 Strict phase where you adjust your metabolism according to your personalized plan. Phase 4 Perpetuation phase where you stick to your newly acquired eating habits so as to maintain weight loss. The personalized nutritional plan not only tells you what your body needs but you also will learn which foods are not good for you and should be avoided. It includes three meals daily and snacking is strongly discouraged. Dieters are advised to leave five hours between meals because this is necessary to stimulate fat burning. Simple sugars and high glycemic carbohydrates are to be eliminated because they disturb the balance of sugar and insulin in the body and stimulate the accumulation of body fat. Foods that help to keep the insulin levels low are preferred, which are those with a low glycemic load. Dr. Funfack says that the body has a ‘protein memory’ and this is one of the causes of cravings and overeating with low calorie dieting. For this reason high protein foods play an important part in this plan. The basic idea is to start every meal with foods that contain protein. The macronutrient ratio is approximately 45% carbohydrates, 20 % protein and 35% fats. Fresh fruits and vegetables, lean meats, nuts, legumes, eggs, goat and sheep cheese, yogurt, rye bread, sprouts. Look for more healthy recipes here. Exercise is regarded as essential because it helps to keep the muscles fit and can accelerate fat loss. Recommendations for exercise may be offered in personalized consultations, however exercise guidelines are lacking in the guidebook for the program. The Metabolic Balance® program costs $899.00 or more. Services can also vary, but generally include blood tests, meal plan generation, and six hours of consultation. Personalized plan designed to suit each individual. The first phase can cause rapid weight loss, which can be highly motivating for dieters. Encourages awareness of psychological factors involved in eating and weight management. Personal consultations can provide encouragement, support and feedback, which may increase the chance of success. Encourages the intake of a wide variety of fresh and unprocessed foods. Helps with management of blood glucose levels. Requires exact and measured portion sizes for every meal in the beginning stages of the program. May be difficult to eat out and stay on the program. The strength of the Metabolic Balance® program is with the personalized nutrition recommendations that are based on blood tests and the individual’s medical history. This increases the likelihood of specific nutritional needs being met, which may not occur when following a standard diet plan. I am very pleased with the results after 4 months on this plan. I now enjoy much better sleep, minimal joint pain, and energy to keep up with my 10 year old grandchild. In addition, I have lost 35 lbs. The food on my plan keeps me very satisfied and cravings have all but disappeared. Beginning this plan I told my coach that I was looking for a new relationship with food. I am now learning what this means! During my first 4 months on the plan, someone said that I must have very strong will power. I replied that I don’t, I just made a decision and a commitment to become a healthier version of myself! Thank you Metabolic Balance! I’m on this plan and I’m dying. This is torture. me too its my 5th day…. This is THE BEST program in the world! I’ve been on it 8 weeks today and have lost 35 pounds, 15.5 inches. I love the new eating habits, stay full (as long as I drink my water), and consider this a miracle program for life! Highly recommend this program…even though the cost might scare some people, it’s the best use of your money. I still have 45 pounds to lose before reaching my goal, but I will never eat the way I used to eat again…NEVER! I put on 10kg in a week on this diet. It was wicked. what about type 2 diabetics who have to take snacks between meals? I am a type 2 diabetic. I used up to 30 units Lantus once a day and up to 16 units Novarapid each time before meals. I also used one tablet (1000mg) Glucophage once a day and my average sugar levels were between 9 and 12. My cholesterol was 7.7 before I started this plan. I had to reduce my insulin after the first day already and gradually reduced my injections until I had to stop injecting as my sugar levels remained between 4.5 and 5.5 before meals. Within a month my cholesterol came down to 4.6 and I am not using any insulin nor Glucophage anymore. Strangely enough my sugar levels remains constant even though I only eat three meals a day. I live in South Africa and we are spoiled with high fat meat and all the fruit and vegetables this country offer. All I had to learn was to eat and enjoy lean cut meat and the correct vegetables and fruit allocated on my plan. where can i get training in dr. funfack’s method? This plan is the best ever. I’ve lost 8kg in 4 weeks. Never in my life I had so much results and felt healthy at the same time. This program gives you energy and the best thing is that I am not hungry for one moment. I am also in phase 3 now. I am currently in phase 3 of the plan. I lost 20 pounds in the first six weeks after continually trying for 3 years to lose weight on other plans even with exercise. I’m rarely hungry on my metabolic balance meal plan. I would highly recommend this to anyone who wants to get to their goal weight, not only naturally, but knowing which foods help you get there.